For many people, social media is a break. Many people spend their days working on TPS reports, baking chickens, teaching other people’s children to solve for X, cleaning toilets, selling hams, digging ditches, building bridges, or coding the complex applications that work in unison to make a blog readable. They turn away from their jobs and watch funny videos on Facebook, retweet pics from their favorite celebrities, or cry while scrolling through their ex’s latest Instagram pics of their vacation. For people like us, though, social media is part of the job, and we need a break from it sometimes. Social media can be a tiring effort when it’s part of your job. Keeping on top of the conversation. Trying to be the conversation. Trying to share just the right things to the right people. If you’re running social media accounts for a company, project, or just for yourself with a goal other than a break from the day-to-day, it can become exhausting. That exhaustion with the process is going to hurt you as time goes on. You’ll get frustrated. You’ll get lazy. You’ll want to quit it all entirely. You may just wake up one day and find yourself not even able to open the apps to check your accounts. Don’t get to that point. 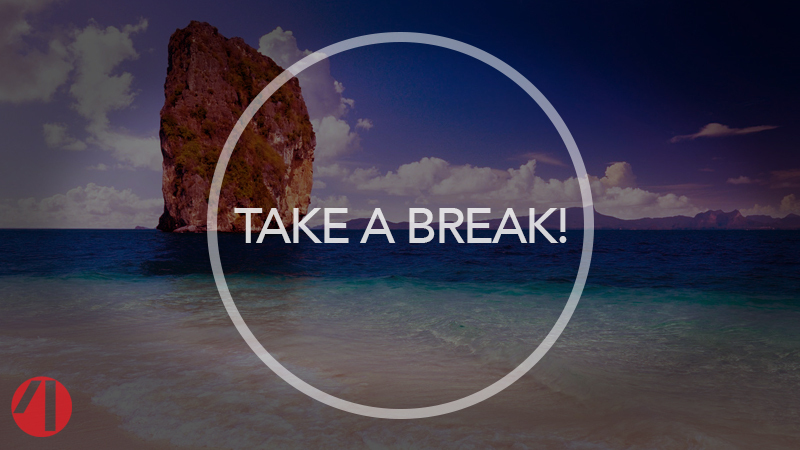 Take a break from social media from time to time. How does one take a break from what seems like an omnipresent aspect of life, that we all carry around on our persons, in our pockets, at all times? Start by shutting off your access to it for at least a day. That’s one whole 24 hour period. Turn off the notifications from the apps on your phone, or better yet, remove them from your phone or at least sign out of the apps for the day. Avoid going to the sites on your computer. If possible, just leave your computer closed for the day. Go to the park. Go to the beach. Go visit your grandma who is convinced the Internet is the tool of Satan and refuses to have it in her home. Just walk away from social media and let yourself breathe. It will be there when you get back, and you’ll have allowed time for your enthusiasm for participating to recharge. If you’re worried about your presence going silent for a whole day, remember what we told you about scheduling. One of the many benefits of scheduling is it gives you the opportunity to take this kind of break. Or perhaps you’d just like to have someone else take the reigns of your accounts? Maybe a team with a lot of experience? Contact us, we can ease your social media burden.